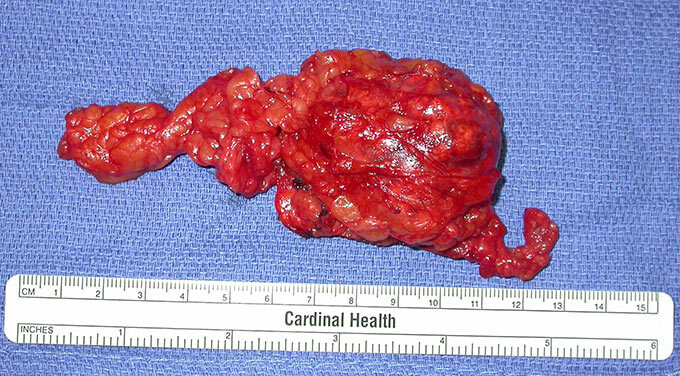 Minimally invasive adrenal surgery is laparoscopic removal of adrenal tumor through the abdominal or back approaches (posterior retroperitoneoscopic adrenalectomy). There will be 3 small incisions instead of one large as it used to be in a past. 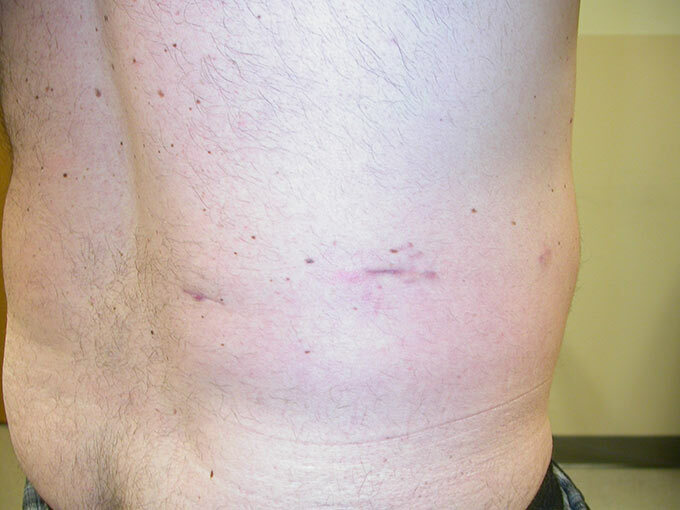 This technique makes the healing process faster and with minimum scar formation. The best approach for the patients and the most common approach that I am using at this time is posterior retroperitoneaoscopic adrenalectomy (posterior laparoscopic adrenalectomy from the back) - laparoscopic surgery through the back. It is more modern and advanced technique that was developed by Professor Waltz form Germany. It has significant advantage of avoiding entrance into the abdominal cavity and because of that it results in significantly less post -operetive pain, quicker recovery, can be performed on any patients even those who have had multiple abdominal surgeries and developed sever adhesions. 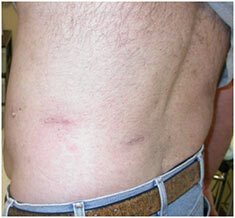 The cosmetic result is much better then abdominal approach. Almost each surgeon in United States and all over the world, who is able to perform this technique, had to visit Dr Walz's Hospital in Germany and learn the technique of posterior adrenalectomy from him. 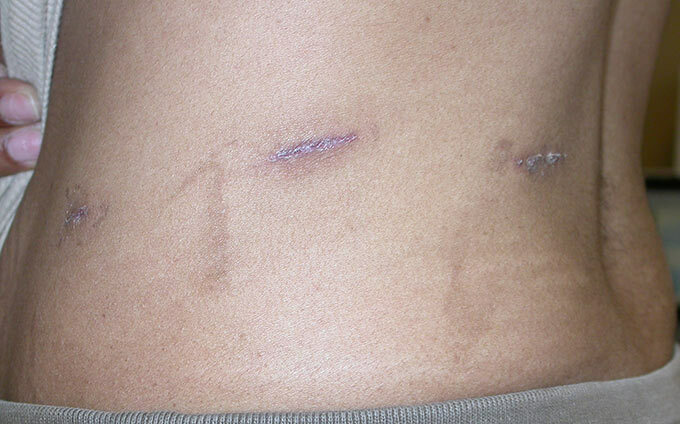 Scar in two weeks after the left transperitoneal laparoscopic adrenalectomy (through the abdomen). Scar in two weeks after the left posterior retroperitoneoscopic (laparoscopic approach through the back) adrenalectomy for pheochromocytoma. The procedure is done under general anesthesia. Patient's position for Posterior Retroperitoneoscopic Adrenalectomy is prone. Our Anesthesia Team (anesthesiologist and nurse anesthetist) is highly qualified and experienced in providing anesthesia in this specific patient’s position. 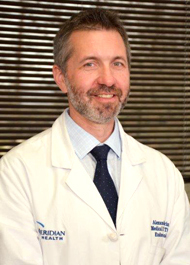 They are also have a great level of expertise in providing anesthesia to patients with multiple medical co-morbidities and also for providing specific type of anesthesia for patients with hypertension secondary to Pheochromocytoma, Cushing’s syndrome and hyperaldosteronism. 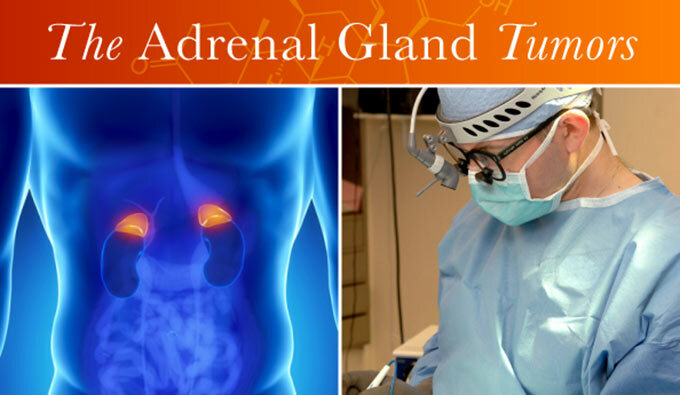 All adrenal surgeries, including Posterior Retroperitoneoscopic Adrenalectomy (adrenal laparoscopic surgery from the back), are performed in specially design State-Of-Art Laparoscopic Operating Room. 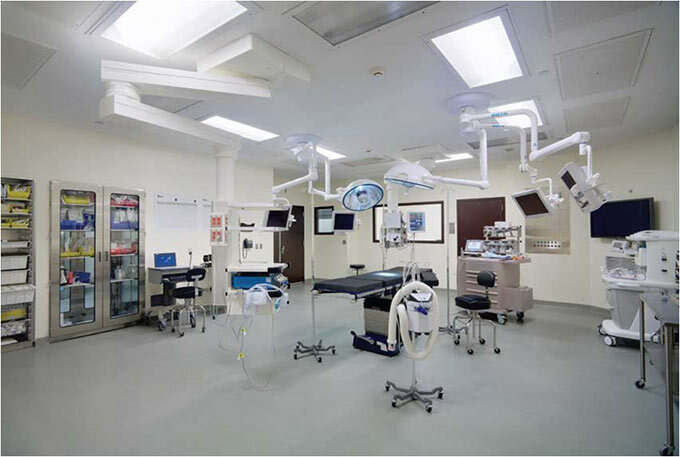 This operating room is equipped with cutting edge laparoscopic equipment and specifically design table allowing for positioning of the patient for this highly sophisticated procedure. 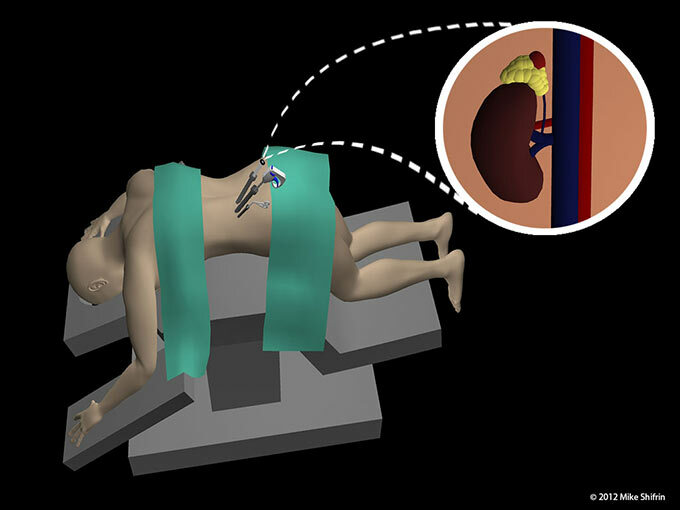 Posterior Retroperitoneoscopic Adrenalectomy (adrenal laparoscopic surgery from the back), are performed in patients position laying prone on a specially design table. Patient’s position for posterior retroperitoneoscopic adrenalectomy (laparoscopic adrenal surgery from the back). 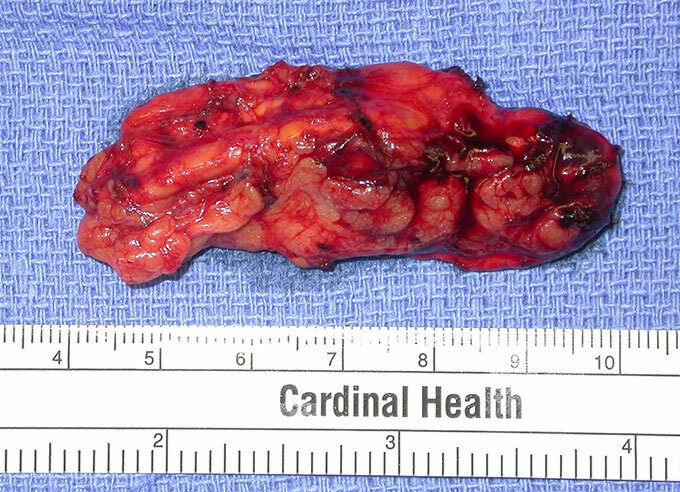 Click on image to view video “Minimally Invasive Posterior Retroperitoneoscopic Adrenalectomy. 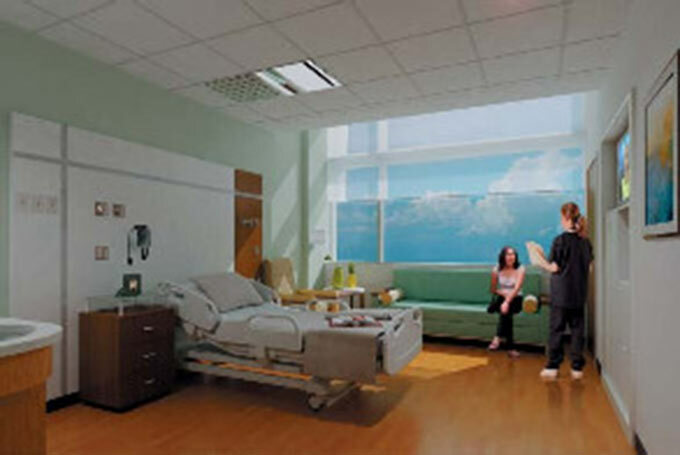 All patients after adrenal laparoscopic surgery, including Posterior Retroperitoneoscopic Adrenalectomy, will stay in recovery room for 30 min to an hour and then will be staying on the floor for 23 hours (overnight stay only) in specially design, state-of-art, patients’ room with flat screen TV. The room is equipped with Cutting Edge sophisticated equipment, Private Bath with ADA Compliant Roll-In Shower, and Corian Sink. Each room has an additional couch for your accompany person to rest. Concierge Service is available. Postoperatively most of the patients have little pain which is easily controlled with postoperative pain medications or injections. It is especially true for posterior retroperitoneoscopic adrenalectomy. With this approach patient is almost pain free the day of the surgery and majority of the patients are only taken one pain pill that day and return to their normal routine the day after the surgery. There will be no drain placement. The surgery performed through 3-4 small incisions, the stitches will be small, subcutaneous which dissolves on its own and do not required removal. Either skin glue or Steri-strips will be applied and will stay for about a week. They will be peel off on its own. 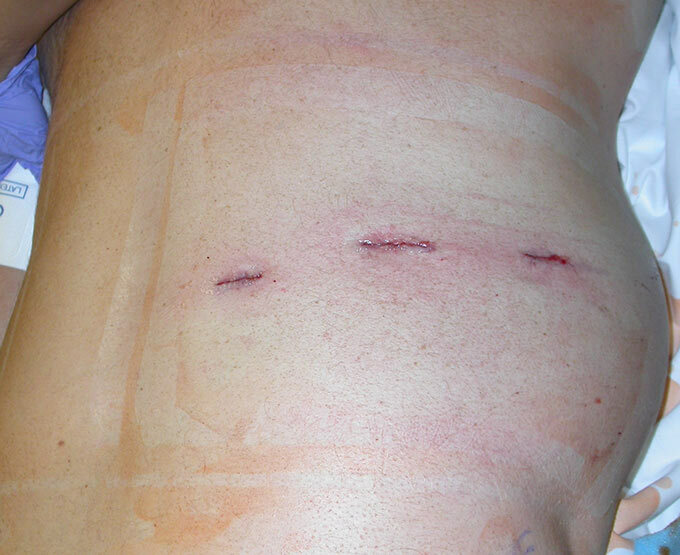 Because the incisions will be small and the stitch will be subcutaneous the size of the scar will be much less than that with traditional open surgeries performed in the past. However the scaring tendency is dependent on the individual skin healing proprieties. The surgeon will make all efforts to have best cosmetic result possible. With current technique the incidence of bleeding is minimal. 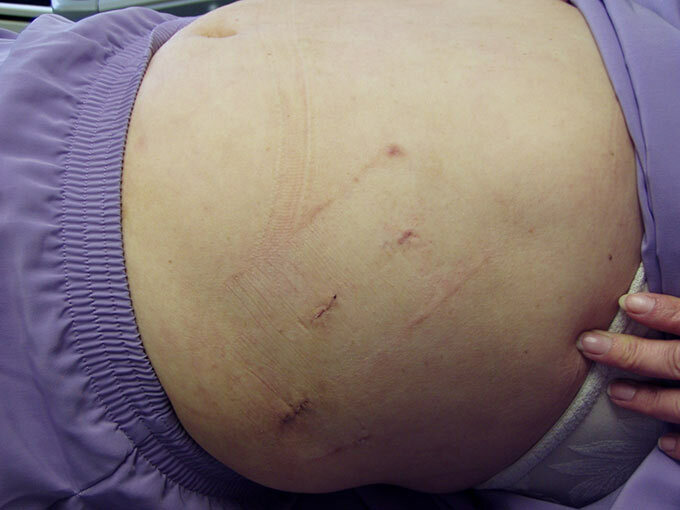 With current technique the incidence of wound infection is minimal. Skin glue will stay for about 10 days and will come off by itself. The Steri-strips will peel off on its own in 6-8 days. After that you can apply moisturizer to the wound, use Mederma or lotion with Vitamin E.
There will be limited physical restrictions for about 2 - 4 weeks after the surgery. Most of the patients resume their normal physical activities within several days after the surgery, especially those who have had posterior approach. You can take shower in 48 hours (2 days) after the surgery. Do not scratch or peel off the Steri-strips or glue, just wipe it with the towel. Please immediately call doctor if you develop significant pain, abdominal swelling fever or chills, or your incisions become very read after the surgery. We are available 24 hours a day 7 days a week on call on our cell phones. 2-3 weeks after the surgery: for wound check and pathology report.